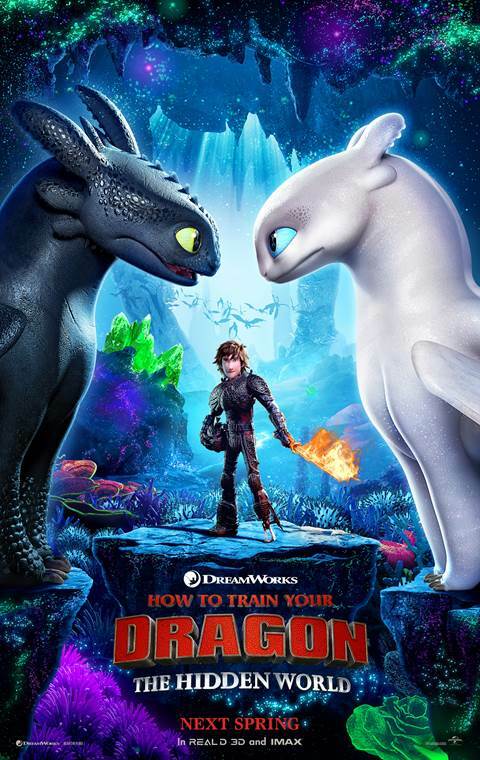 Loosely based on the Cressida Cowell children’s books of the same name, How to Train Your Dragon has been wildly successful with both critics and audiences ever since the first movie hit theaters way back in 2010. For those who need a recap, it told the story of Hiccup (Jay Baruchel), a scrawny teenage Viking who hoped to become a prolific dragon slayer, as is his tribe’s tradition. After finally striking down and immobilizing his first dragon, later named Toothless, he found that the fearsome fire-breathers aren’t as terrifying as they appear. Directed by Dean DeBlois and Chris Sanders, How to Train Your Dragon went on to gross nearly half a billion dollars worldwide and is a staggering 98% certified fresh on Rotten Tomatoes, giving the studio an Academy Award nomination in the Best Animated Feature category. As such, it’s no surprise that an entire trilogy has been spawned from the film and now, we stand on the verge of the threequel, titled The Hidden World. With ⁦@DeanDeBlois⁩ at the ⁦@DWAnimation⁩ studio – just seen the complete movie of #HowToTrainYourDragon3, and it’s a total triumph…gloriously funny, deeply touching, hugely emotional and a visual feast…I’m a bit overcome. That’s certainly encouraging to hear, and follows on from some of the other earlier reactions that have surfaced, which all say we’re in for a real treat. And though the plot does kind of sound like your standard ‘passing of the torch’ tale – which we’ve seen numerous times before – after generating more than $1 billion worldwide after two films, we’re willing to give DreamWorks’ 2019 blockbuster the benefit of the doubt. How to Train Your Dragon: The Hidden World is set to soar into cinemas on March 1st, 2019, after being delayed numerous times, and if Steven Spielberg’s to be believed, it’s an absolute classic and better than the original.